At Pitt St Dental Centre, we understand that visiting the dentist can be stressful for many people, causing clients to avoid booking into see the dentist in fear of what may come next. However, when it comes to performing dental procedures at our clinic, our Sydney dentists are committed to your comfort and wellbeing, with client satisfaction our priority. 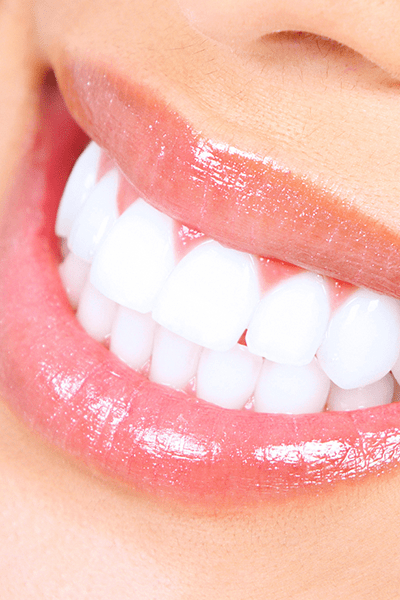 We are passionate about promoting dental health by encouraging patients to visit the dentist and part of our commitment to achieving this involves offering alternatives, such as sedation dentistry, to reduce anxiety levels in patients. At Pitt Street Dental, we offer a variety of sedation dentistry, anaesthesia and pain management options to ensure that you are comfortable and relaxed during your procedure. Sedation dentistry, also known as sleep dentistry, puts patients to sleep throughout their dental procedure, without anxiety-triggering sight, smell and sounds, allowing patients to wake up with a brand new smile or extensive dentistry completed. If you are anxious or have extensive dental work to be completed, sedation dentistry allows you relax in a pain-free environment and have no recollection of the dental procedure. Throughout all sedation dentistry and anaesthetic procedures performed by Pitt Street Dental Centre, specially trained health professionals will closely monitor you. With technological advancements, the risks associated with modern sedation dentistry and anaesthesia are very low; sedation dentistry is considered safe for almost all patients. Risks are greater in the elderly, very young and those with pre-existing conditions. Prior to the commencement of your treatment, your dentist will go over your options and thoroughly discuss any concerns you may have. Not all sedation dentistry will put you to sleep – the aim is to sedate or relax you enough that your anxiety regarding the dental treatment is lessened. Depending on your fear or anxiety levels, our dentists may suggest one of the following sedation methods. Commonly known as ‘happy gas’ or ‘laughing gas’, nitrous oxide is used to relax patients. Happy gas is a simple form of sedation, administered by placing a small mask over the nose, allowing the patient to inhale the gas. As the name suggests, happy gas results in a relaxed and happy sensation, rather than putting you to sleep. The benefit of happy gas is that it allows the patient to still be conscious of what is going on so that you can provide feedback to the dentist. At Pitt St Dental Centre, our experienced Sydney city dentists utilise happy gas for a range of dental procedures. An efficient and effective anxiety and pain relief method, intravenous sedation is administered by a virtually painless injection through a vein on the forearm or back of hand. IV sedation causes patients to experience drowsiness and relaxation, often described as a dreamlike state. Almost all patients’ report that time passes very quickly and that they have virtually no recollection of dental work. Leading up to your procedure, your dentist at Pitt St Dental Centre will provide you with comprehensive preparation instructions which must be followed for patient safety. These instructions are relatively simple to follow, however we encourage you to ask as many questions as you need! For some patients, fasting and avoiding certain foods, liquids or medications may be required. During your consultation and prior to the day of your procedure, your dentist will ensure that you’re completely comfortable with, and fully understand, all preparation requirements. After your procedure, your dentist will provide you, and sometimes your guardian, with specific aftercare instructions to minimise discomfort or pain during recovery; this may involve rest, pain management techniques or medications, abstaining from particular activities or avoiding certain foods or liquids. At Pitt Street Dental Centre, we encourage our patients to ask as many questions as they need prior to any procedure taking place because we want you to be completely comfortable and confident throughout your entire procedure. If you have questions between your consultation and procedure, you can call our centre on (02) 9223 4767. Our Sydney dentists offer a range of pain management options according to your medical history and procedure requirements. With a range of modern sedation dentistry and anaesthesia options, you no longer need to avoid a trip to the dentist due to fear or anxiety; sedation and anaesthesia are extremely common and successful in minimising pain and discomfort. Relax while we complete your dental procedure in a pain free environment, where you won’t remember a thing. Contact Pitt Street Dental Centre today to find out more about our high-quality procedures undertaken with sedation dentistry.